A major Calgary-based energy company is facing its seventh lawsuit in U.S. courts over climate change. The Pacific Coast Federation of Fishermen's Associations - the largest commercial fishermen's group on the West Coast - has included Encana in a lawsuit attempting to link greenhouse gas emissions from 30 energy companies to damage in the crab fishery. “The world's oceans are changing and commercial fishermen and -women, their businesses, their communities and their families are paying the price,” says the lawsuit filed in a San Francisco court on Wednesday. 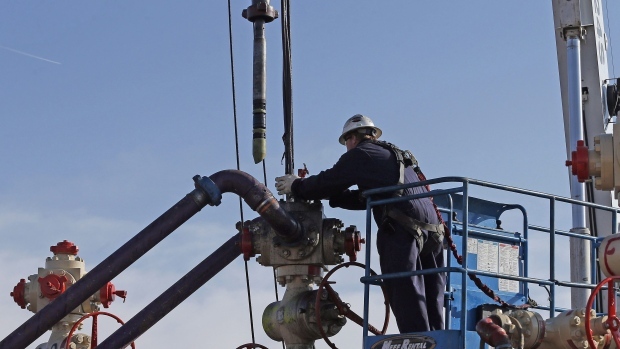 Encana is named because it once operated a large natural gas storage facility in the state. That facility was sold in 2006. The statement of claim, which has not been tested in court, makes similar arguments to lawsuits filed by six California communities against the same group of defendants. It alleges that the named companies produced and sold oil responsible for about one-fifth of all the world's greenhouse gas emissions between 1965 and 2015. It goes on to claim that those companies have been aware through their own internal research starting in the 1960s that their product causes climate change. Instead of working to mitigate the damage, the document says, the companies funded a massive campaign of disinformation and continued to market as much oil as they could. One consequence, alleges the lawsuit, has been warming oceans. It says heat waves in the ocean have led to massive algae blooms, which have in turn released large amounts of toxins into waters the crab fishermen depend on. Crab-fishing waters in California and Oregon were closed for the first time in the 2015-16 season and again in 2016-17. Oregon's waters were closed again in 2017-18. “Hundreds of commercial fishermen and -women holding Dungeness crab licences could not untie their boats,” the lawsuit says. The U.S. government declared California's 2015-16 crab season a fishery disaster. This year's season is expected to be delayed because of lingering toxic concerns. The lawsuits draw on legal precedents used against tobacco companies, which reached a U.S. settlement of US$368.5 billion in 1998. Legal experts such as Michael Burger, director of the Sabin Center for Climate Change Law at Columbia Law School, have called such cases “plausible,” but warned they face an uphill battle. He has said both the tobacco and climate change lawsuits had strong evidence of corporate coverup. But the causal link between smoking and cancer is much shorter and clearer than that between an oil well and specific climate damages, Burger has said. Similar lawsuits have been thrown out. Vic Sher, the lawyer handling all seven of the lawsuits involving Encana, has said they avoid conflicts with federal law that disallowed earlier attempts. Industry attempts to block change have become much clearer, he said. As well, research now allows scientists to make direct links between greenhouse gases, individual producers and climate impacts. A report last year for the United Nations counted 654 legal cases in 24 countries that dealt with the science of climate change and mitigation efforts.